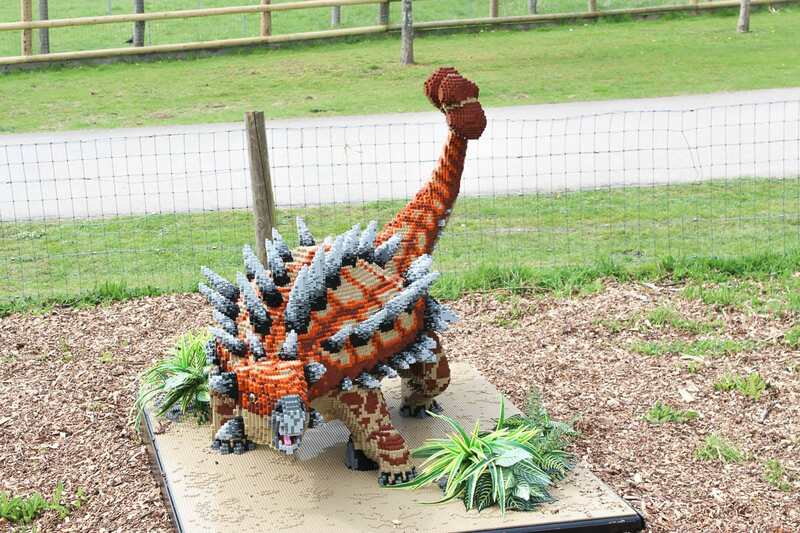 We were invited to Marwell for the day to visit the Brickosaurs, all words and opinions are my own. 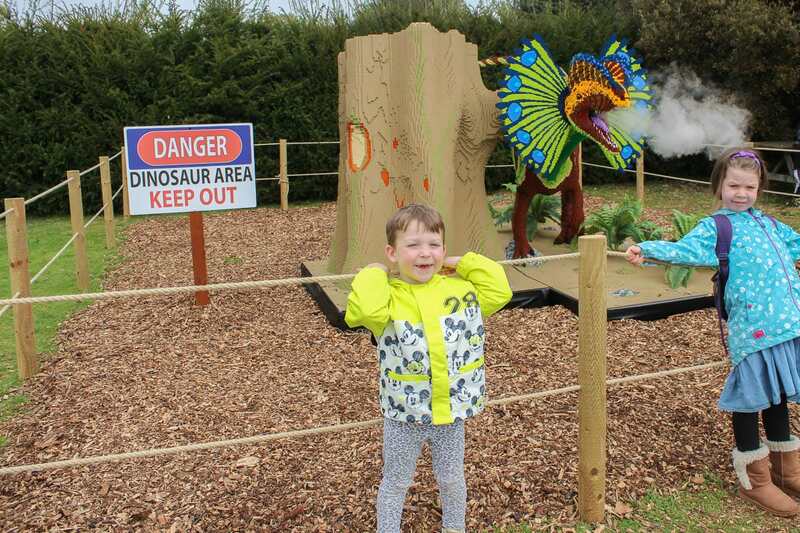 A week ago the kids and I spent the day at Marwell Zoo searching for their new arrivals, all the Brickosaur dinosaurs! 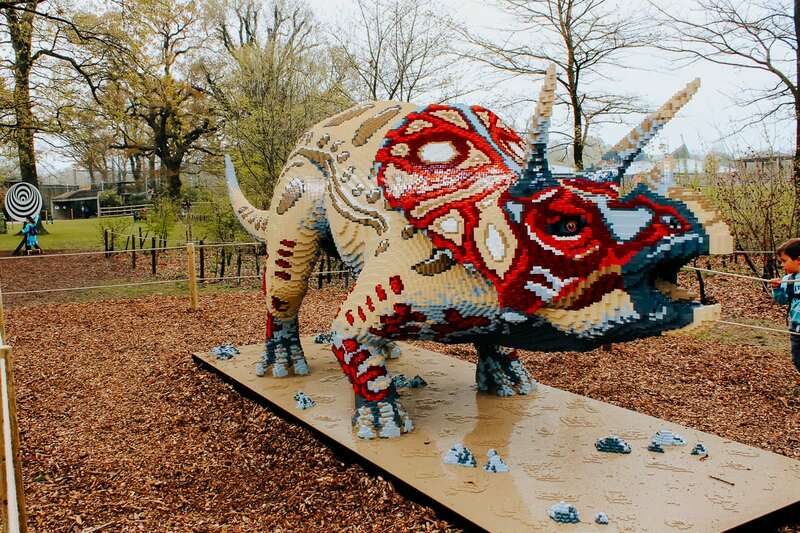 These amazing creatures are hand-made by a team of professional builders- out of LEGO! 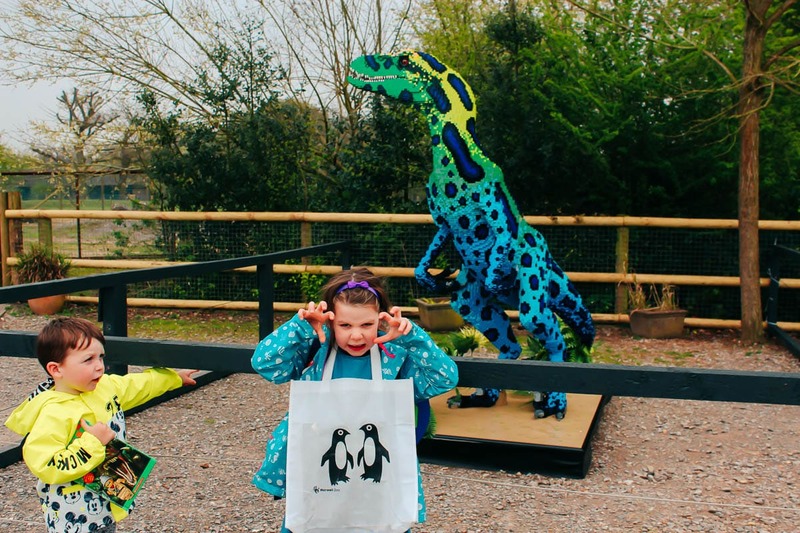 They really are very impressive and as both kids love dinosaurs and Arlo has just got into Lego in a big way it was the perfect way to spend the day! 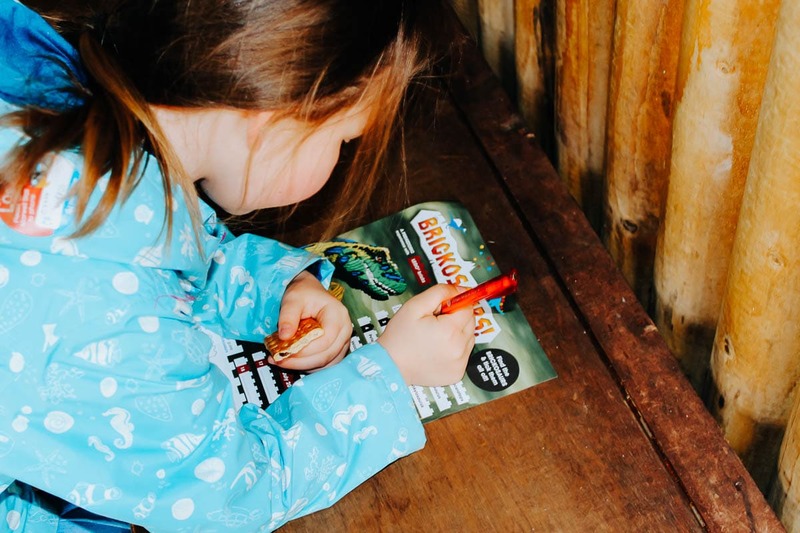 As we walked into Marwell we heard a loud noise, and after a bit of a tentative approach the kids found a packing crate complete with a dinosaur inside! Well, a glinting eye that we could see and a lot of ‘get me out of here’ noises! Athena took scouting out the Dino’s very seriously, ticking each one off and looking for where we needed to visit next. 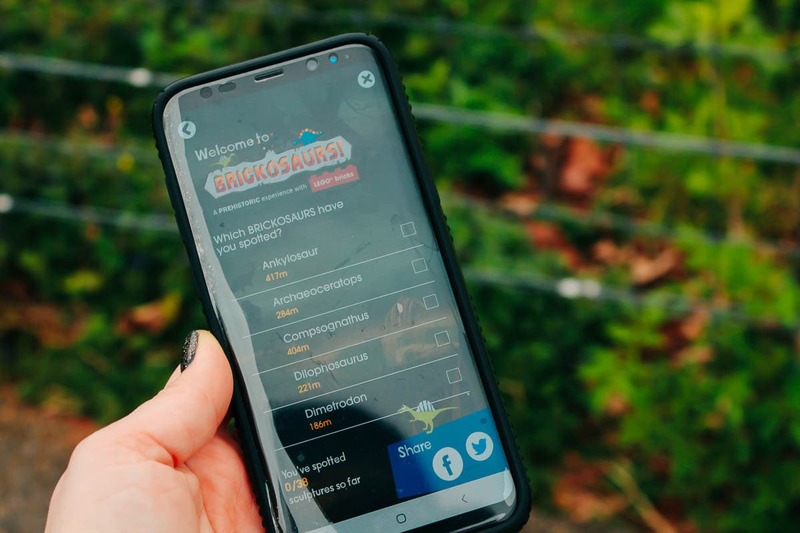 Arlo was more interested in tracking the Brickosaur Dino’s on the Marwell Zoo app – which is such a good idea even without the ability to track dinosaurs! 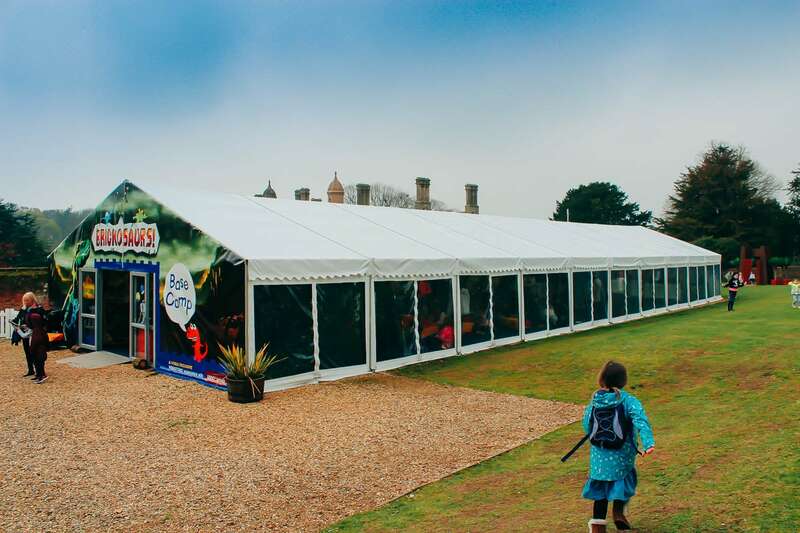 It helps you get from a-b easily as it knows your location within the Zoo, plus you can find out about the talks and displays each day, so you don’t miss the ones you want to go to! Each of the dinosaurs are displayed in a wide open spaces, so they can easily be seen by lots of people at once, and are behind ropes or behind glass screens for the ones in display cases so they can’t be touched by little fingers! 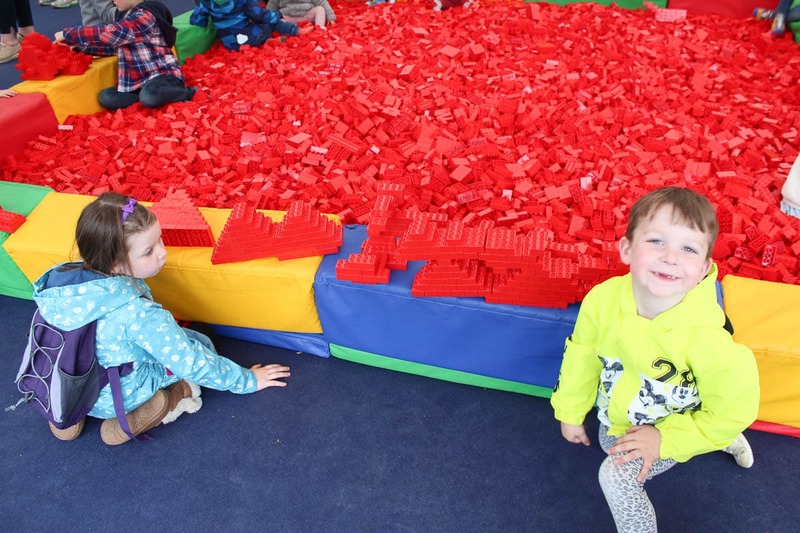 However because little people love to play with Lego and we’d not want to deprive them, if you take them to the Brickosaur Base Camp which is just behind Marwell Hall they can play with Lego and Duplo to their hearts content! There are two big pools, one of each. I didn’t take a photo of the Lego one as it was packed with kids and their parents, but my kids were happy enough to play in the Duplo pool as it was quieter! 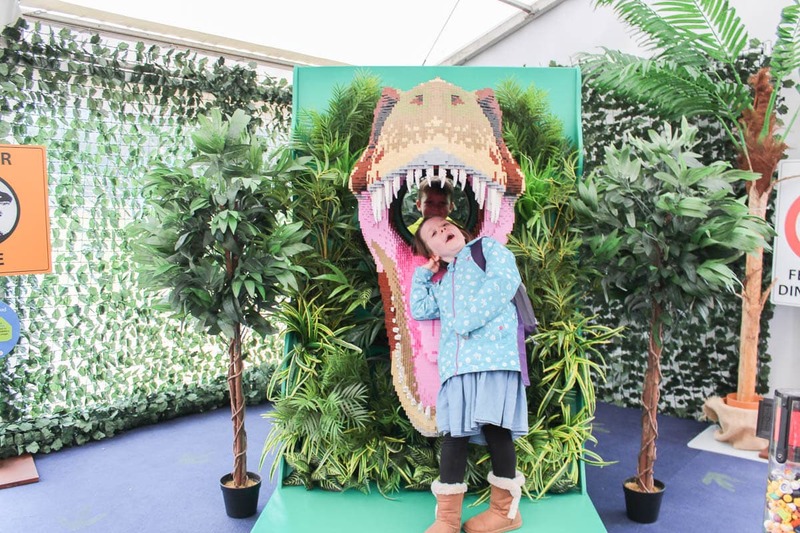 There was space for parents and younger kids to keep a close eye, as well as an area for face painting and photo opportunities! I think my kids would have been happy to spend all day in the Base Camp playing, but as there were picnic benches outside we managed to tempt them out for lunch! We bought a picnic lunch as it was pretty warm on the day we visited but there is the Cafe Graze near the Meerkats for a proper lunch if you didn’t want to pack your own! 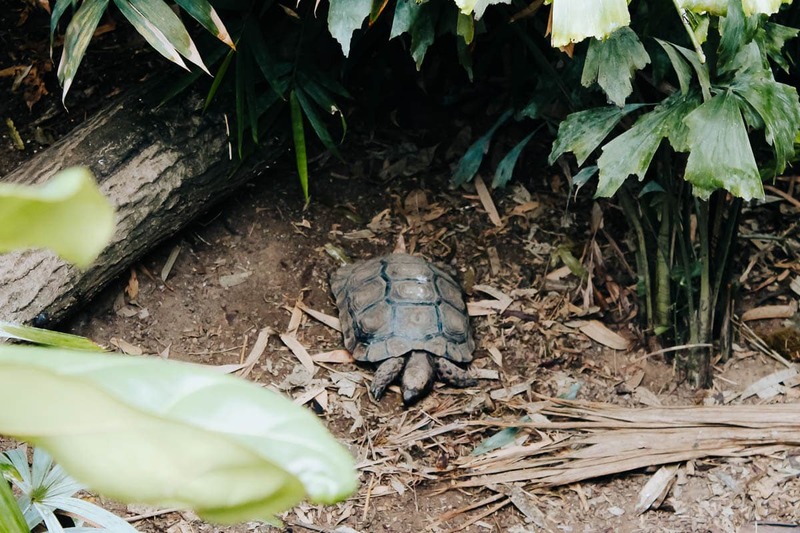 After we’d refuelled we headed off to find the rest of the dinosaurs, as well as exploring a few parts of the Zoo that we hadn’t been to for a while, or at all in the case of the Otters and Siamangs Monkeys! 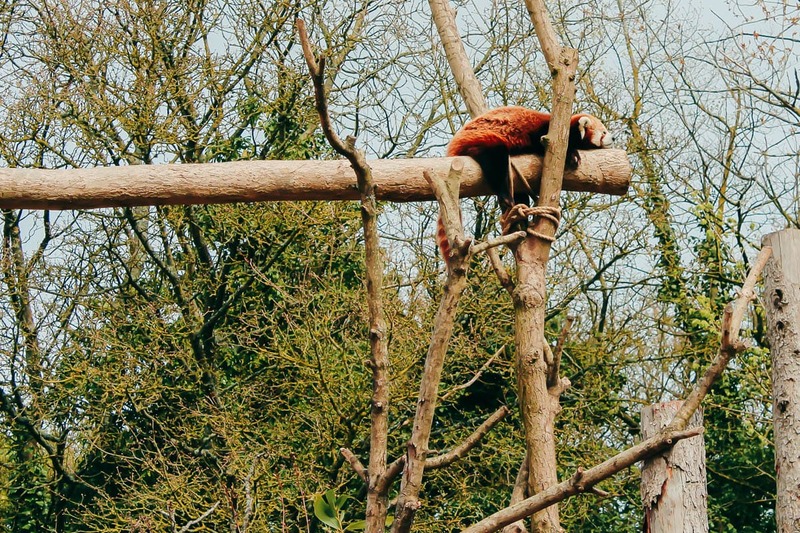 We also took a stroll around the Wallaby Walkthrough and visited the Red Pandas, which were both lounging up high, basking in the sun! My favourite dinosaur the Ankylosaurus was in this area too! 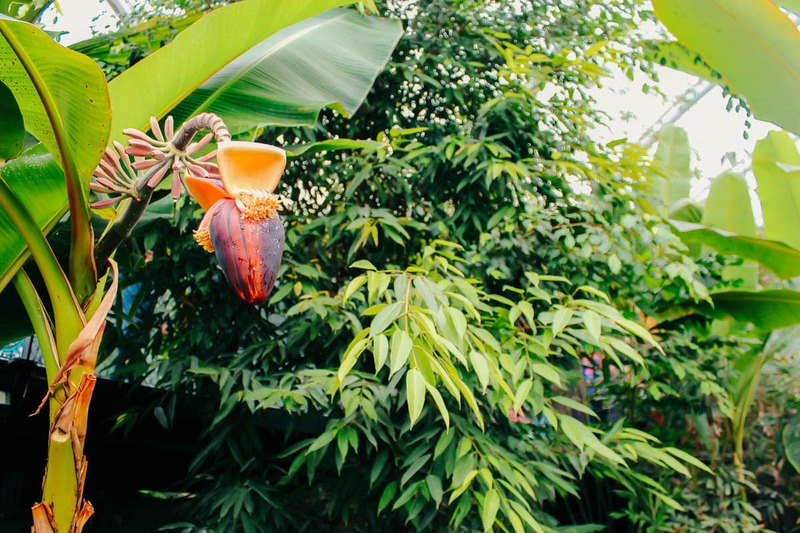 We finished off with a visit to the Tropical House (basically so I could see the Sloth, who was asleep but visible unlike our last visit!) but the kids loved spotting the birds and the tortoises too! 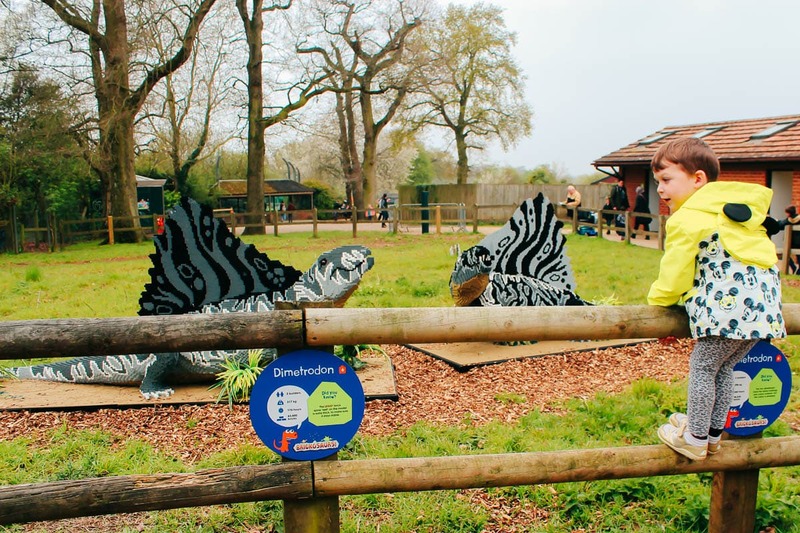 We visited on a Monday so missed out on meeting ‘Brucy Brick’ who pops up in locations around the Zoo with his dinosaurs to teach kids more about them. This happens Wednesday to Sunday in School holidays. Also keep an eye out for Colin and his Compsognathus companions and share your photos using #ColinonTheRun! 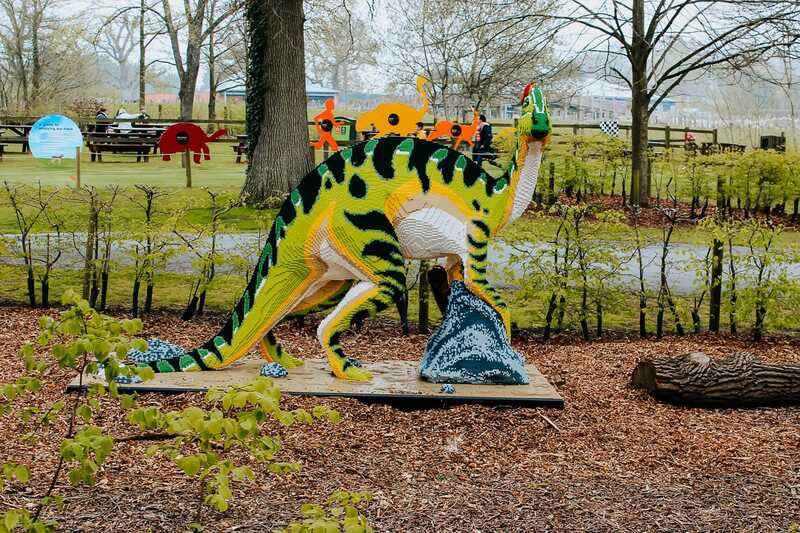 There’s a video teaser on Marwell’s Facebook page here and for all the opening times between now and when the Brickosaurs leave on September 1st make sure to check the Marwell Zoo website, where you can buy tickets and skip any queues when you enter! For a blog post featuring more animals you can read about a previous visit here, or to see the magical time the kids had with Father Christmas last year! OMG Brickosaur dinosaurs?!?!? That’s so awesome. I love it when they make something extraordinary from Lego. Did they have a favourite Brickosaur? I am still impressed that the dinosaurs were made out of LEGOS, I wouldn’t have thought it otherwise if you didn’t mention it. Truly impressive. This sounds interesting. 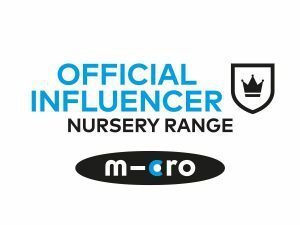 Can’t wait for my baby to grow a little more so we can enjoy such fun day out together. These dinosaurs are beautiful. WHOA! 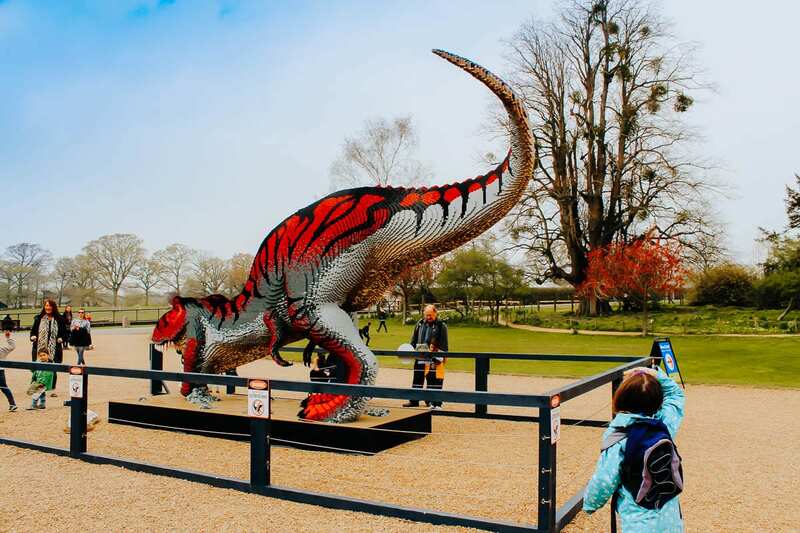 How INCREDIBLE do those lego dinosaurs look! I am legitimately floored. 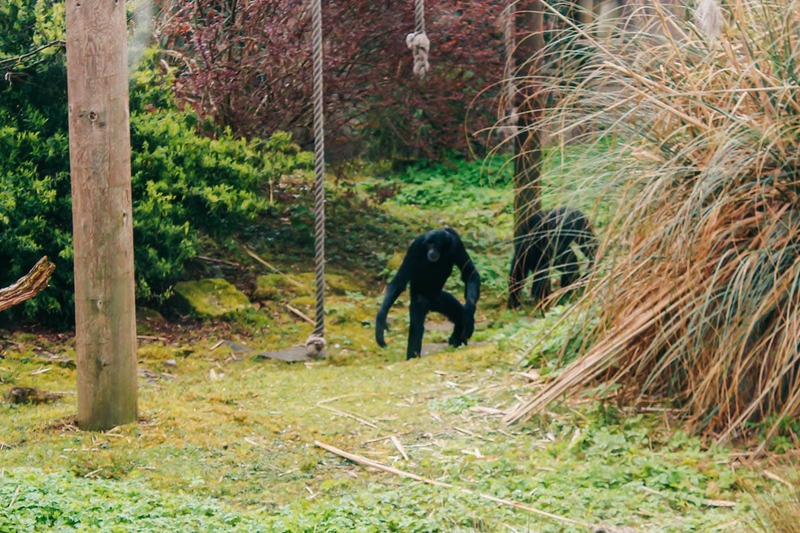 What a fun attraction to make the zoo a little more exciting!